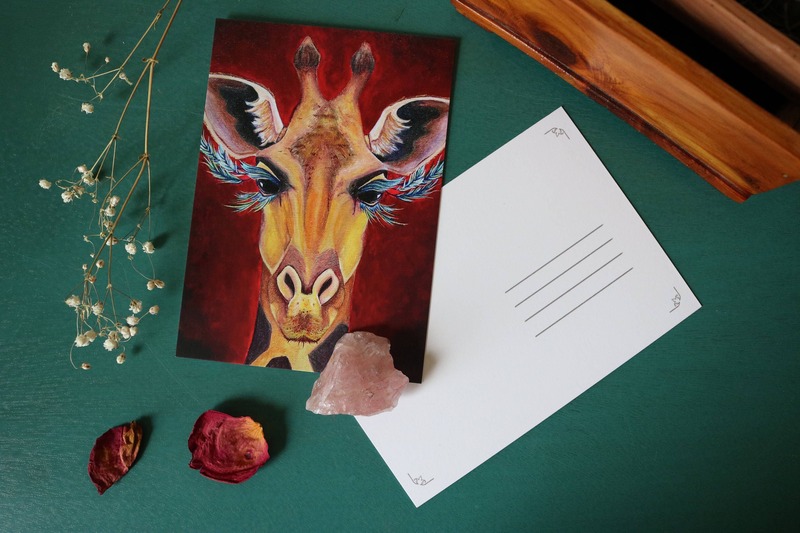 Postcard print of Giraffe painting, printed on acid free, quality stock. LOVE this piece!!! So beautiful and creative.